Situated 50 metres from the beach of Anaxos in Lesbos, this hotel features a swimming pool and sun terrace with poolside bar. It features studios overlooking the Aegean Sea. Located around 400 metres from Anaxos beach, the family-run Parthenon Hotel is a traditional accommodation with swimming pool, restaurant and bar. Free Wi-Fi is available in all areas. 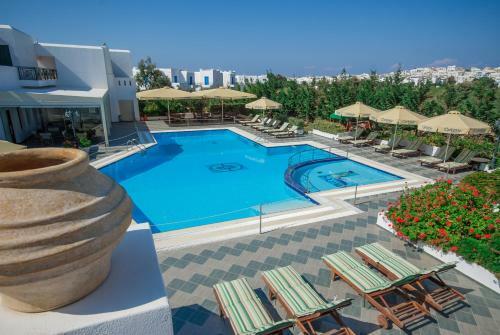 Centrally located in Naxos Town, Hotel Xenia is just steps away from shops and restaurants. It boasts free Wi-Fi and tastefully decorated rooms with a balcony. The beach is 350 metres away. 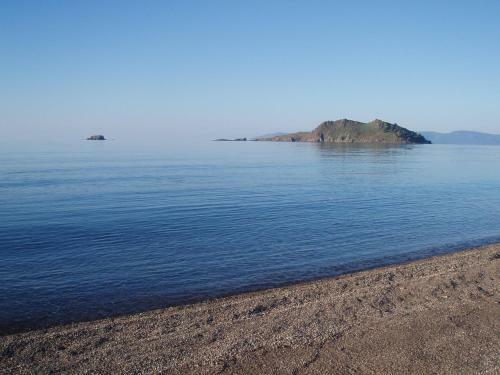 Hotel Astir of Naxos is just 2 minutes from St. George beach and 10 minutes' walk from Naxos centre. It features an outdoor pool, free internet access and private parking. Astir of Naxos enjoys a peaceful setting close to the coast. 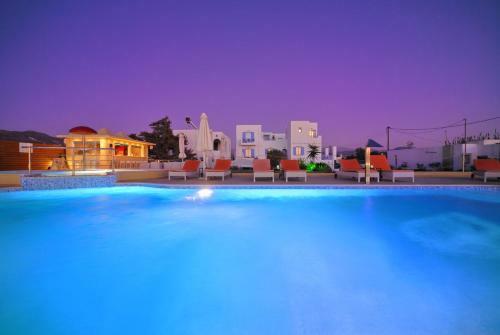 Golden Sun Hotel is located on a quite setting in Agios Prokopios beach, only 3 kilometres from Naxos Town. 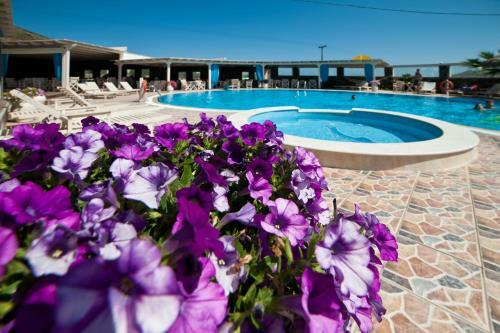 It offers a swimming pool, a children�s pool and a hot tub. The 3-star Naxos Resort Beach Hotel, built a few metres from the endless sandy beach of St. George in Naxos, incorporates the local Cycladic and Venetian architectural style. 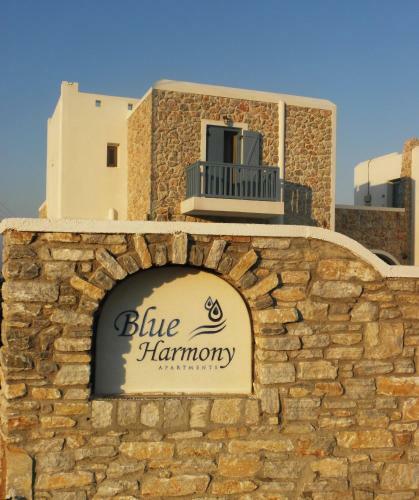 The newly built complex of Blue Harmony Apartments is enjoying a beautiful location only 120 metres from the island�s famous sandy beach of Plaka in Naxos, overlooking the Aegean Sea. Blue Harmony Apartments are individually styled and decorated. Offering high-standard accommodation next to the beach to those wishing to enjoy the natural beauty of the island, this is an ideal hotel for relaxing holidays. Most conveniently situated 100 metres from St George Beach, 200 metres from the town centre and 500 metres from the port, Aeolis Boutique Hotel offers modern accommodation in Naxos. 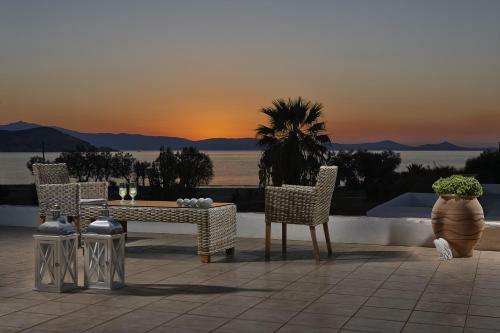 Princess Of Naxos is ideally located a few minutes� walk from the town centre, only steps away from the beach front. The hotel offers free parking and free Wi-Fi. This charming hotel is situated just 300 m from Agia Anna Beach and all the local amenities, offering spacious and clean accommodation with free wireless internet and American breakfast.